I am always excited when a customer talks with me about creative ways to fill a large wall space. Often people see a space, such as a wall over a sofa or bed, and envision one very large quilt for the wall. I am happy to make large quilts but I often try to convince people to think about multiple quilts to fill the space as an alternative. For the first time I had a customer ask me about this when he saw two small quilts I had in my shop. 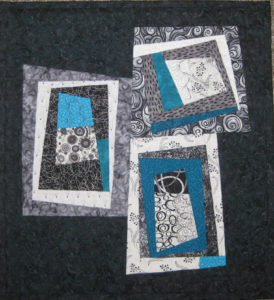 He inquired if I could make a LARGER quilt which could be hung with the two smaller quilts on either side for a set of three similar styled and designed quilts. 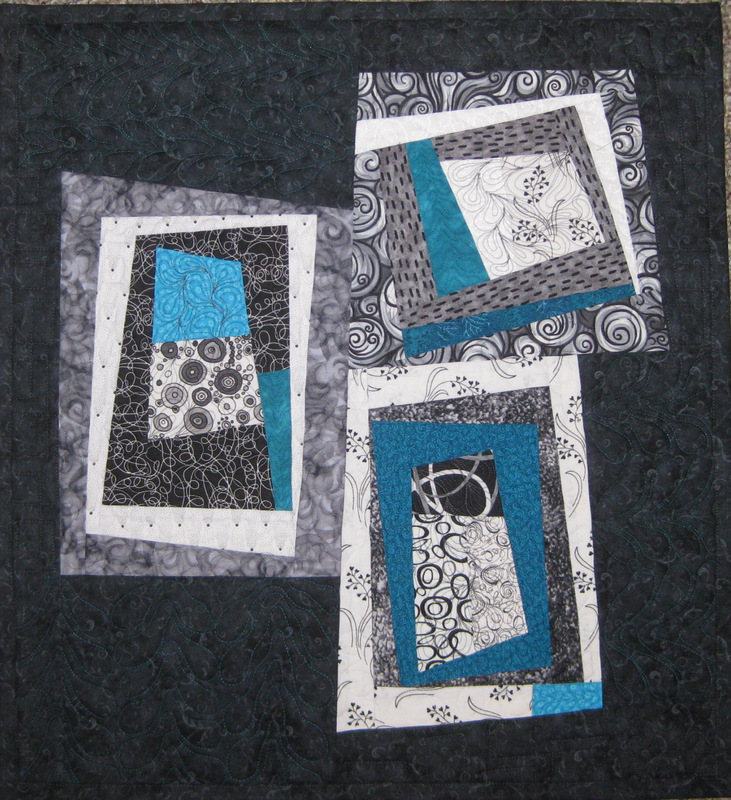 Thus began a fun experience of designing a new quilt!